Where Did All the Chinese Laundries Go? 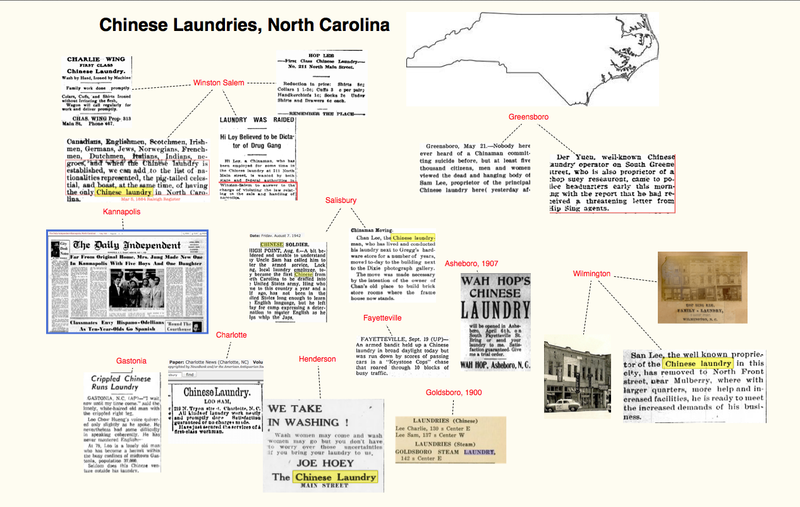 A century ago Chinese laundries could be found in virtually every town throughout the United States as well as in Canada. 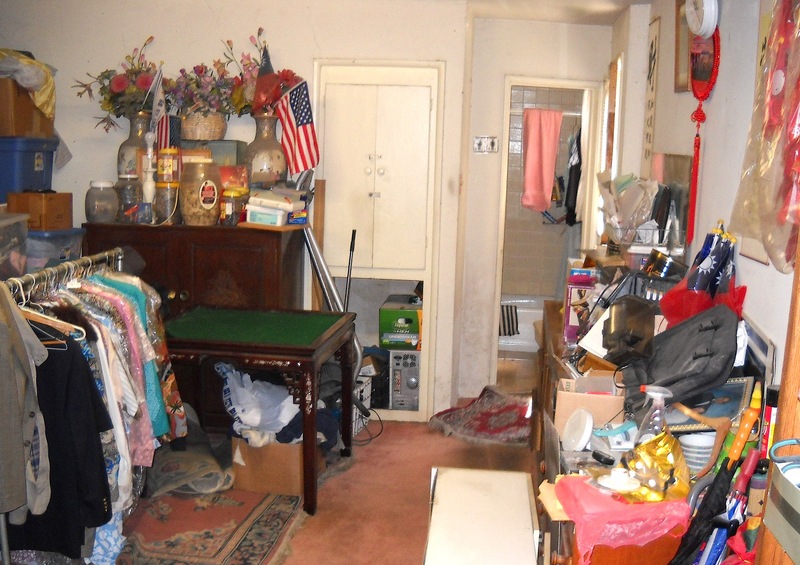 Today, one would find it difficult to find one because most homes have their own washer and dryer and those who do not can do their laundry at a laundromat, which unlike laundries, are usually self-service and does not offer ironing. By the middle of the past century, Chinese immigrants were turning to other businesses such as restaurants as older Chinese laundrymen were retiring. Their children did not take their place because many of them had obtained college degrees paid for through the earnings from their family laundries and were beginning to make inroads into professions that previously had been denied to Chinese, even though with advanced degrees from Ivy League universities. 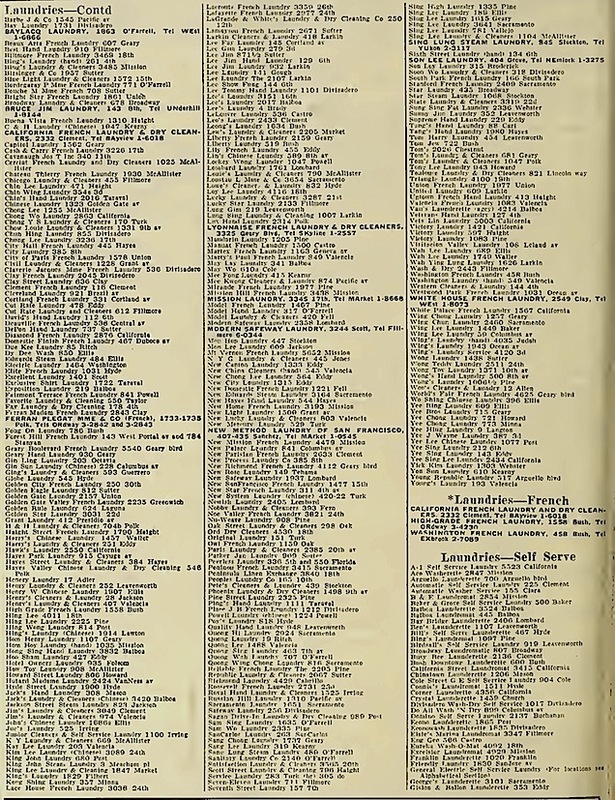 Still, even as late at 1955, as this list from the San Francisco Yellow Pages illustrates, there were many laundries (a few on the list were not Chinese laundries) in San Francisco operated by Chinese. 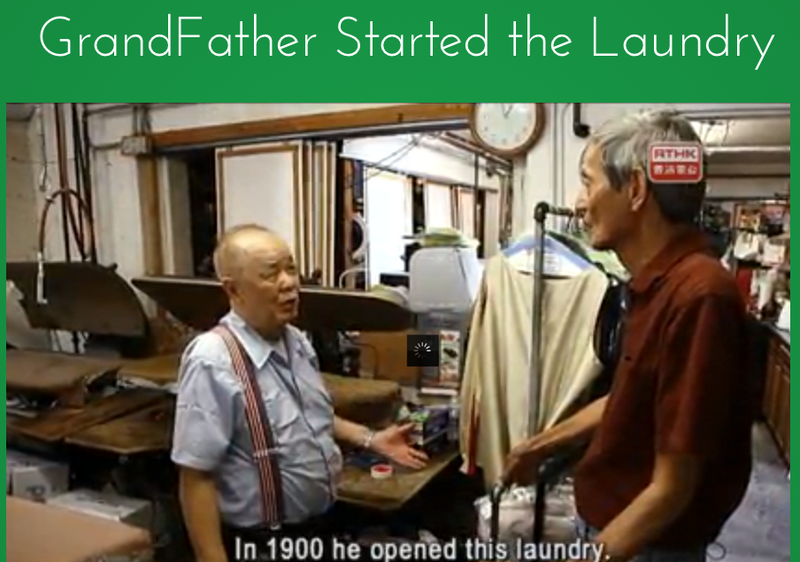 But today virtually all of the Chinese laundries have faded away into history! That is a sign of the great progress that the Chinese have made but without the sweat and toil from the laundries, they would not have made it. 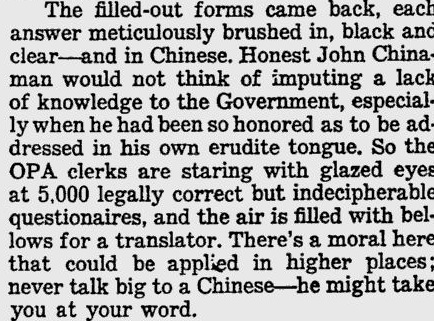 The Office of Price Administration (OPA) wanted to survey 5.000 Chinese laundrymen in New York City about prices. Wanting to help those who were not proficient in English, OPA, with the assistance of the Chinese Benevolent Association, created a form that had questions printed side by side in English and Chinese. Much to their dismay, when the surveys (no mention of the response rate was given) were returned, the OPA was surprised! 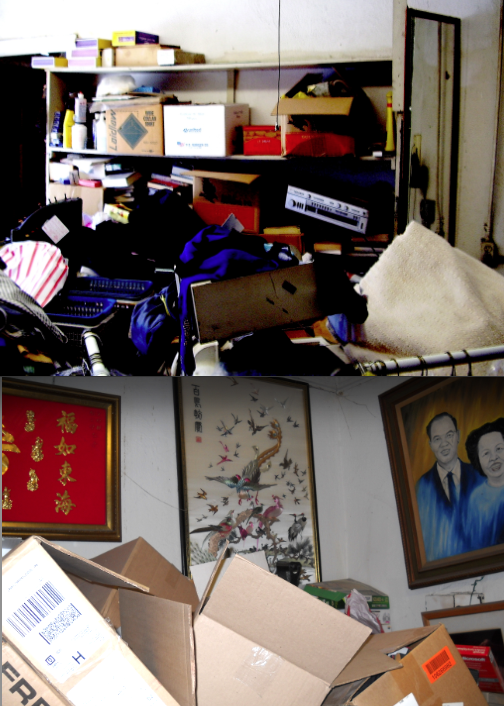 Here is some visual evidence in L. A. of the disappearance of once ubiquitous “Chinese laundries” that could be found in virtually every town in the country . 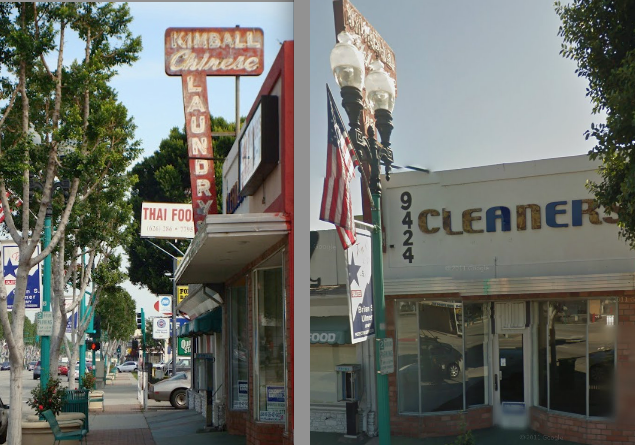 The Kimball Chinese laundry in Temple City at 9424 Las Tunas, Temple City, still has its sign (left image) but in 2011, the storefront no longer appears to be a laundry (right image). Similarly, the second photo of the Wong Wing Laundry at 8372 Third St., Los Angeles shown in the left hand frame in 2010 was replaced sometime in 2011 by a women’s clothing shop as shown in the right hand frame. An animated documentary that clearly explains the background, issues, outcome, and legacy of the Yick Wo v. Hopkins (1886) decision that affected the fate of Chinese laundries in San Francisco, the primary occupation of Chinese at the time. 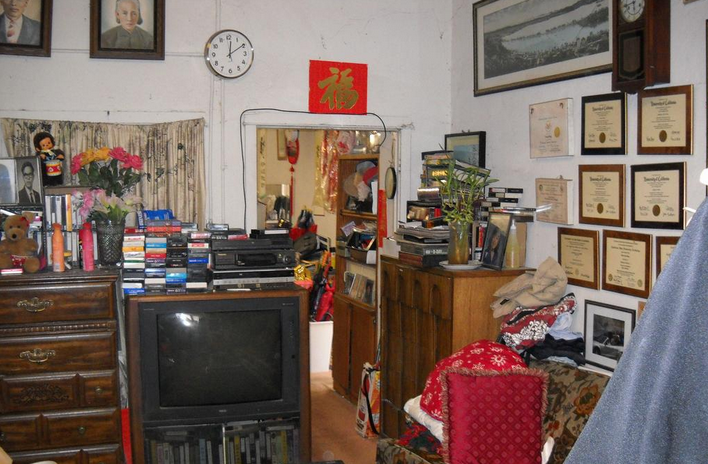 Yick Wo was a laundryman in San Francisco who contested the outlawing of all laundries in wooden buildings as racially biased since all Chinese laundries were in wood structures. He won the case as the Supreme Court ruled in 1886 that the law violated the Equal Protection clause of the 14th Amendment.